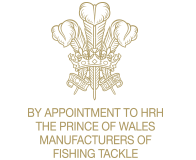 Hardy Fly Reels are recognized the world over for their quality made, English built fly reels. Hardy reels are “The Perfect” match for a custom made bamboo fly rod. Call us today for a mate to your bamboo rod. We can provide you with the ideal outfit – an heirloom rod and a Hardy reel! Copyright © 2019 Hollifield Bamboo. All Rights Reserved.